Concept mapping is a statistical technique to unravel difficult constructs like ‘quality of service’, ‘best practices in care’, ‘brand image’ or ‘product proposition’. Expert or client opinions’ are combined to get insight into the common view towards a specific construct as it is seen by the group as a whole. Concept mapping is a relatively fast and efficient method which combines qualitative and quantitative techniques. It differs from individual or group wise mind mapping sessions by not directly drawing a mind map. The concept map is created by the computer using statistical techniques to combine data of all individual participants. The software support all languages and characters from that language as long as they are supported by the modern browsers like IE and Chrome. 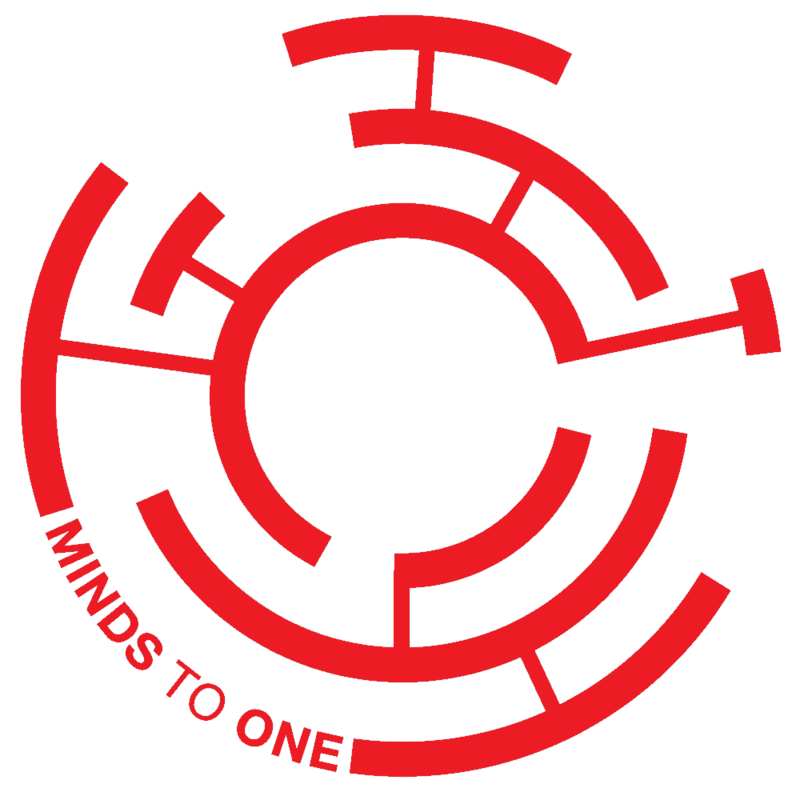 Minds to One created a web driven tool to support concept mapping, called Ariadne. The web service makes it possible to collectively brainstorm on a theme, to individually perform tasks with the collected statements and to visualize the outcome of that brainstorm in a concept map. Ariadne is used for decades in health care, in service based companies and for marketing and branding. This web version is relatively new but fully operational and already thoroughly used in a lot of sessions. Your browser does not support the video tag, download and install Internet Explorer or Chrome top open it. Minds to One offers you the possibility to autonomously plan and interpret your concept mapping sessions or to get full support in the planning and interpretation of the concept maps. We have 15 fast laptops with a large screen, which facilitates grouping and prioritizing the statements. Check out the possibilities and decide what suits you. The software is free for unfunded research projects for students. We only ask an excerpt of the project when finished. We will upload the excerpt to the Ariadne website. We charge €500* for use of the software within funded research projects. PhD projects likely are, just like projects done by the staff of a university or a research institute. For the preparation and assistance during a project, not for the execution of the project itself, we charge €400. If you are an experienced user you will not not need that. You can always mail or call us if you do not understand how the web application works. We are committed to make it self explaining. Until that time we will keep answering questions. For projects where the precise and orderly execution of the project is part of the outcome, like projects in changing organizations or projects to help implement policies we insist on being part of the execution of the project. A typical project with one brainstorm and 12 participants will cost €1800. With provided widescreen laptops and a room with catering it will be €2600. Please contact us if your concept mapping sessions do not seem to fit in here, so we can find a solution! Ariadne is a web driven tool to support concept mapping. The web service makes it possible to collectively brainstorm on a theme, to individually perform tasks with the collected statements and to visualize the outcome of that brainstorm in a concept map. The current version of the software has been extensively tested and is used in several research projects. Ariadne gives the possibility of different sophisticated visualizations of the concept map, like a tree diagram from 2 up to 20 clusters (1- and 2-dimensional), 1-, 2-, and 3-dimensional concept maps, a cloud concept map and visualization of the direction of the participants' preferences in the map and the statements included in a cluster plus their cluster names. The costs for the use of Ariadne for one project are €500 (excl. VAT). You can use our software but we can also help you organizing and executing session. Below is an overview of the different costs of our services. Software: €500 per Concept Mapping target group. Technical support during concept mapping groups. During the concept mapping session there will be 1 employee from Minds to One to install the laptops and connect them to the internet, to enter statements from the brainstorm, help participants with their tasks on the laptops and present the first results. For concept maps over internet this is replaced with telephone and email support for organisers as wel as respondens. Additional we will support the analyses in the software. Additional to the silver interpretation, the employee from Minds to One will support to interpret the concept map by guiding the process of naming clusters and axis. Additional to the gold interpretation, the employee from Minds to One will support the analyzing and reporting. We can organize a complete session for you, inclusive preparation, execution and writing the report. Call us to get a bespoke offer. Prices for organisations in Europe that are not VAT eligible and or do not have an arrangement with the tax office to get a return on payed VAT, are leveled up with the VAT we will have to return to the tax office on net deliveries. You can test the software free for one month. Just mail to Peter Severens and ask for a trial licence. Please mention your function and the purpose of future use. van Bon-Martens MJ, Achterberg PW, van de Goor IA, van Oers HA. Towards quality criteria for regional public health reporting: concept mapping with Dutch experts. Eur J Public Health 2012;22:337-342.
van Bon-Martens MJH, van de Goor LAM, Kuunders TJM, Jacobs-van der Bruggen MAM, Holsappel JC, te Brake JHM, van Oers JAM. Concept mapping as a promising tool to bring practice into science. Public Health 2014;128:504-514. Detaille SI, Haafkens JA, van Dijk FJ. What employees with rheumatoid arthritis, diabetes mellitus and hearing loss need to cope at work. Scand J Work Environ Health 2003;29:134-142. Detaille SI, Haafkens JA, Hoekstra JB, van Dijk FJ. What employees with diabetes mellitus need to cope at work: views of employees and health professionals. Patient Educ Couns 2006;64:183-190. Duits N, van den Brink W. Doreleijers ThAH. Assessment of violence risk in youth for juvenile court: relevant factors for clinical judgment. Int J Law Psychiatry 2008:31:236-340. Duits N, van der Hoorn S, Wiznitzer M, Wettstein RM, de Beurs E. Quality improvement of forensic mental health evaluations and reports of youth in the Netherlands. Int J Law Psychiatry 2012;35:440-444.
van den Dungen C, Hoeymans N, Schellevis FG, van Oers HJ. Quality aspects of Dutch general practice-based data: a conceptual approach. Fam Pract 2013;30:355-361. Hargreaves K, Crozier K. A conceptual understanding of the factors that influence breastfeeding cessation. Evidence Based Midwifery 2013;11:81-87.
de Kok M, Scholte RW, Sixma HJ, van der Weijden T, Spijkers KF, van de Velde CJ, Roukema JA, van der Ent FW, Bell AV, von Meyenfeldt MF. The patient's perspective of the quality of breast cancer care. The development of an instrument to measure quality of care through focus groups and concept mapping with breast cancer patients. Eur J Cancer 2007;43:1257-1264. Minkman MM, Ahaus KT, Huijsman R. A four phase development model for integrated care services in the Netherlands. BMC Health Serv Res 2009;9:42. Minkman M, Ahaus K, Fabbricotti I, Nabitz U, Huijsman R. A quality management model for integrated care: results of a Delphi and Concept Mapping study. Int J Qual Health Care 2009;21:66-75. Nabitz U, Severens P, van den Brink W, Jansen P. Improving the EFQM Model: An empirical study on model development and theory building using concept mapping. Total Quality Management 2001;12:69-81. Nabitz U, van den Brink W, Walburg J. A quality framework for addiction treatment programs. Addict Behav 2005;30:1254-1260. Nabitz U, van den Brink W, Jansen P. Using concept mapping to design an indicator framework for addiction treatment centres. Int J Qual Health Care 2005;17:193-201. Niemeijer A, Frederiks B, Depla M, Eefsting J, Hertogh C. The place of surveillance technology in residential care for people with intellectual disabilities: is there an ideal model of application. J Intellect Disabil Res 2013;57:201-215. Niemeijer AR, Frederiks BJ, Depla MF, Legemaate J, Eefsting JA, Hertogh CM. The ideal application of surveillance technology in residential care for people with dementia. J Med Ethics 2011;37:303-310.
de Ridder D, Depla M, Severens P, Malsch M. Beliefs on coping with illness: a consumer's perspective. Soc Sci Med 1997;44:553-559. Roeg D, van de Goor I, Garretsen H. Towards quality indicators for assertive outreach programmes for severely impaired substance abusers: concept mapping with Dutch experts. Int J Qual Health Care 2005;17:203-208. Roeg D, van de Goor I, Garretsen H. Towards structural quality indicators for intensive community-based care programmes for substance abusers. Community Ment Health J 2008;44:405-415. Varekamp I, Haafkens JA, Detaille SI, Tak PP, van Dijk FJ. Preventing work disability among employees with rheumatoid arthritis: what medical professionals can learn from the patients' perspective. Arthritis Rheum 2005;53:965-972.
de Vries G, Koeter MW, Nabitz U, Hees HL, Schene AH. Return to work after sick leave due to depression; a conceptual analysis based on perspectives of patients, supervisors and occupational physicians. J Affect Disord 2012;136:1017-1026.
de Vries G, Hees HL, Koeter MW, Lagerveld SE, Schene AH. Perceived Impeding Factors for Return-to-Work after Long-Term Sickness Absence Due to Major Depressive Disorder: A Concept Mapping Approach. PLoS One 2014;9:e85038. To encourage the use of Ariadne in scientific research, we composed a scientific committee. The aim of the scientific committee is to inspire and to critically discuss concept mapping topics in order to guarantee quality. Furthermore the scientific committee will be an important source of feedback for developing and enhancing the software. This way, we make sure that the software will follow the wishes and demands of the users. Right now the committee contains two Dutch experts: Udo Nabitz (Arkin) and Nils Duits (NIFP). We are planning on expanding the committee with international experts. Please contact us if you are interested to participate in the scientific committee.